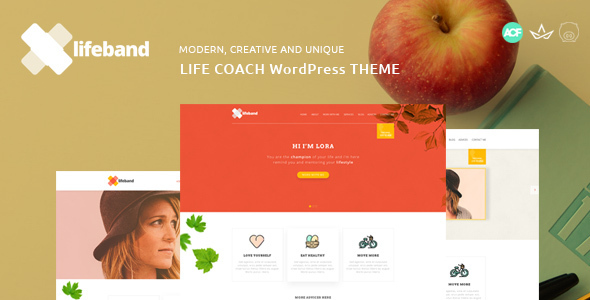 Lifeband is a life coach wordpress theme. This template built for especially for life / business coaches and trainers, individual therapists, psychologists, diet and nutrition consultants, as well as other specialists who need personal web site. Now, you can build a stunning life coach web site including amazing custom sections for your business. Itâ€™s created to showcase your practice and describe your services. It has modern responsive retina design.Also you can sell your products with this theme. While using Lifeband youâ€™ll move your business online platforms. Everything section is drag and drop. Note: Photos used in the preview are not included in downloaded file.